Developing an effective partnership between the school and home is central to our aims. 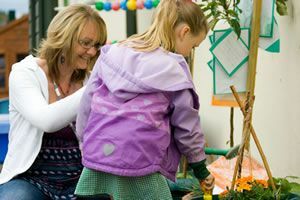 We welcome parents and relatives into school for a variety of activities. This may include helping in class with reading, cooking, or arts and crafts. Effective communication between home and school is essential. For children to be successful we all need to work together and we look forward to this partnership. Our school newsletters are designed to keep parents informed of events and activities. We will keep you informed about your child’s progress at parent/teacher meetings in Terms 2 and 4 and our open afternoons. Parents will also receive a full end of year report. However, if you have anything you would like to discuss please speak to us at any thime during the school year. The headteacher’s open, honest and determined approach to leading the school has brought together the whole community and created a highly effective learning culture. Parents are actively encouraged to become involved in school life and if anyone has the capacity to come and help during school hours, this is always welcomed. Many parents come to listen to the children read (or read to the children where appropriate) whilst others help with gardening, tidying the library and some even run after school clubs!